The mother and the newborn are well and are expected to be discharged on Friday evening. 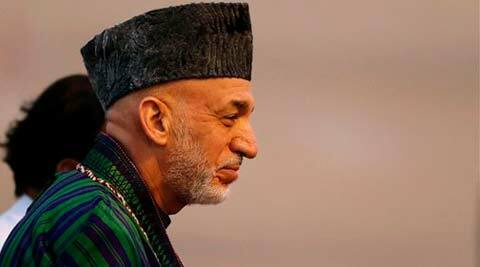 Afghan President Hamid Karzai visited his wife and newborn at a Gurgaon hospital on Thursday afternoon. The President’s wife, Zeenat Karzai (43), was admitted to Fortis Memorial Research Institute (FMRI) in Gurgaon earlier this week for the delivery of the couple’s third child. Sources confirmed that the first lady delivered a girl around 9.30 am on Tuesday. “The mother and daughter are doing absolutely fine. The delivery went normally,” a source said. The Afghan embassy said Karzai paid a short visit to his wife on Thursday. He spent about 20 minutes with his newborn. “His Excellency President Karzai was able to pay them (his wife and newborn daughter) a very short visit during his brief transit stay in New Delhi before going to Colombo, Sri Lanka, on Thursday afternoon. Both the President and the first lady enjoyed a few moments together with their newborn daughter,” the statement from the Afghan embassy in Delhi, said. The statement also said due to an unspecified “predictable medical complication, the specialised doctor in Afghanistan advised that the baby be delivered in India given the availability of specialised medical facilities and personnel there”. “We are thankful to the hospital’s excellent medical staff for their superb services, as well as to the hospital’s management team. And we are grateful to the Indian government for their continued support with everything, including facilitating the hospitalisation process,” the statement said.